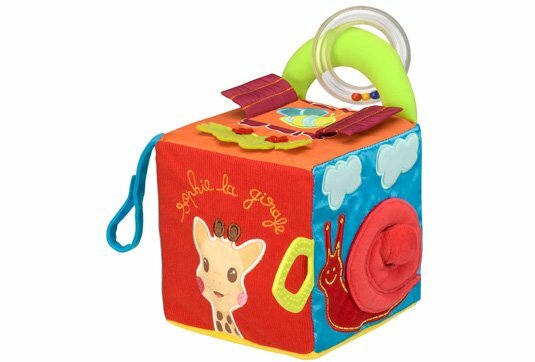 A highly versatile giant cube, with loads of possibilities to stimulate baby's senses! Many different activities to be discovered! 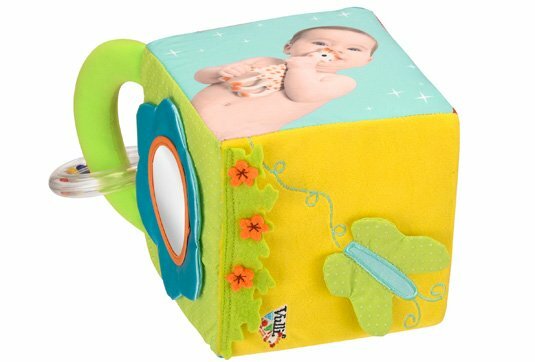 A handle makes the cube easy for baby to hold. 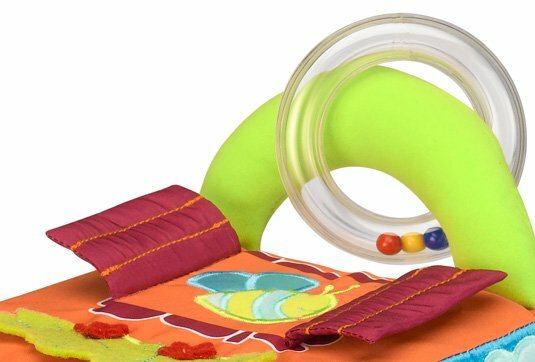 It includes a plastic ring with small balls inside that make a noise when they are shaken. 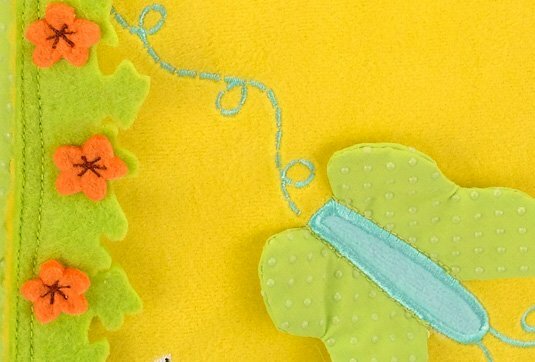 It has a clever textured teething ring for baby to chew on when his teeth are coming through! 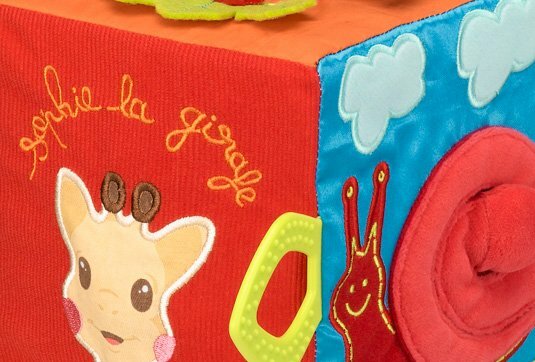 Practical, a strip of Velcro® fastener means it can hang on the pushchair and accompany baby wherever he goes.